Grammatical goofs and flight delays aside, we had a great time celebrating the end of 2011 in Marrakech, Morocco. I'm back home now enjoying my final day off before its back to work tomorrow. It was such a great holiday season but I'm way behind on so much. Like sharing the rest of my photos from our trip to India (Jaipur photos in tomorrows post!) and working on a million little projects I have on my to-do list. What about you? I'm not sure what 2012 has in store for me. I'm feeling a bit anxious about it actually - not sure why - but I do want to wish every one of you an amazing new year. Thank you so much for reading, leaving comments and sending encouraging notes.  I put a lot of time into Brooklyn Limestone and your kind words make me feel like I'm contributing something (albeit tiny) positive to world. So thank you again. If there is something you would like to see more or less of in 2012 around here, please let me know. And if you have enjoyed what you've seen on the blog, I'd love it if you follow me on facebook and twitter and pinterest and my colortopia for even more. Happy New Year! Maybe a little anxiety is good and can be channeled into something creative? I always love your party planning posts-- the invites are so creative! Happy New Year S!!! A little anxiety is always good :) This year is going to be great! You'll see! Happy New Year! My 2012 HAS to be better than my 2011 so I am wishing that for everyone. Happy new year to you!!! I think a new start always makes me anxious - but excited at the same time too! Thanks for sharing your wonderful creative spirit with us! When my blog partner/daughter and I rode our bicycles from southern Spain to Dakar, Senegal (through the Sahara desert, I need to add), we spent a week-end of rest and relaxation in Marrakesh. It was refreshing because it was so much more progressive than the rest of the country. I could go on and on, but will spare you. Glad you had a great trip. Happy New Year! I have lots of plans big and small for 2012. I hope it will be an eventful one. Here, I'd love to see more of your shore house decorating efforts. Happy New Year and hoping 2012 is spectacular. Happy New Year! Looking forward to more of your amazing ideas and pictures in 2012. And, seriously? Marrakech? If I wasn't a huge fan I'd be ridiculously jealous right now. It is fabulous how much you travel and with so much ease it seems. Places I can only dream of! Hope you show us photos of Morocco! Did have a nice New Year's though @ Disney World. They did fireworks in a 360 degree circle over-head. Just wish we hadn't been herded to a parking lot and could have viewed them from a more picturesque spot in the park. It wasn't Morocco but was fun. Actually - New Year's Eve morn we went to Epcot and visited Morocco. We asked the cast members if they were really from Morocco and they were. Fairly cool. We went to each "country" and the four of us got a dessert or two to share like baklava in Morocco, crepes in France, apple struedel in Germany. Happy New Year. I think when I grow up (I assume that will be mandatory when I turn 30 in April) I would like to be you. I am ever so jealous of your fantasical adventures and I feel fairly confident that 2012 will be a fantastic year for you. No need for anxiety. :) Hope you had a great trip! Sounds like you had fun. I hated Epcot although the worldwide tour of desserts sounds fun :) Didn't see any Baklava in Morocco though - i think its more of a middle eastern thing. Oh did you not have a good time there? I heard some bad stories before I went but I had a mostly comfortable time in Marrakech - although I can see it being much worse outside the city. Happy New Year! I'd love to hear more details on how you squeeze all your travel into working full-time? Do you plan mostly around long weekends/holidays? Yes, we plan a lot of long weekends. Pretty much every single moment of time off work is saved for traveling. Last year I changed jobs so I had an extra few weeks off in between that let me travel on a few longer trips than usual as well. Can't wait to hear about Morocco. We're heading there for Easter! Happy New Year...I'm sure it will bring wonderful things to you.